Enjoy sunsets in your backyard with this sophisticated patio bench from Studio 350. 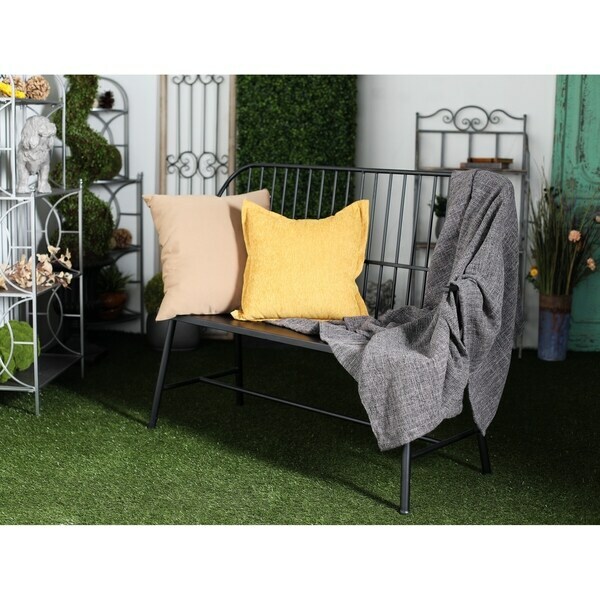 Crafted from high-quality and solid iron material, it features a black-finished, rectangular seat supported by four splayed legs with horizontal bars. It also has a backrest and armrests adorned with vertical bars providing additional comfort while you lounge. Simple yet elegant, this bench will surely make a decorative and functional addition to your outdoor space. Get yours now at a price you will surely love! Dimensions 48.0 In. X 19.0 In. X 38.0 In.